I have had a long love of character voices and accents. 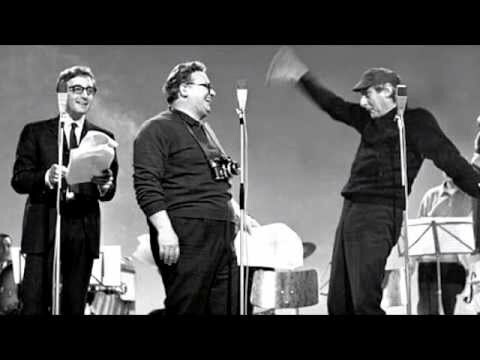 As a young boy, I discovered comedy radio shows such as The Goon Show where the actors would put on exaggerated voices to great comic effect. I tried to replicate these characters and in a way, they become the closest thing I had to invisible friends. As I found my love for theatre and acting, the transition to picking up accents was relatively easy, and for the sake of Community Theatre, I wasn’t expected to be spot on. The fact that I could do most of the mainstream accents (English, American, Australian… particularly English) was rather useful in getting parts. I would be able to listen to accents, and in most cases I would pick it up quickly. I think this was because of my years of Goon Show impersonations. There were always a few which challenged me. For example, when trying Irish, I would often drift into Scottish, and some of the regional English accent would all become generic Cockney. It was only a few years back that I realised that even though I could do a number of accents, I couldn’t really tell you the mechanics behind them. I was asked to help a very Australian lady develop an American Accent for a stage play. Everyone else was doing good American, so having one “okka” Aussie was rather striking. I struggled at first trying to get this actress to use a similar accent to the rest of the cast. Her natural accent was just too strong, and my skill in explaining was to simple. I did manage to get her to put on a reasonable New Yorker accent, and we went with that. But I was motivated to learn about how accents were done, by people who could instruct. As I wasn’t in a place to be able to afford classes, I instead researched books and videos online. I found a lot of common themes , but found much of it was minimally helpful, and felt as vague or rough as my own attempts at teaching had been. Most of it was tailored for the American actor doing international accents. Some of the most useful texts came with audio CD’s that broke down the process to repeating various phrases, talking about diphthongs, consonants, vowels, when to drop certain letters, and so forth. I didn’t feel any of this helped. Then I found Bruce G Shapiro’s Speaking American – The Australian’s Guide to and American Dialect. This book does more than provide vague exercises and phrases to recite, it has a significant focus on mouth shape, muscular control… Now this may have something that other texts also covered, but I found this clarified a few things that others didn’t. It helped me become more aware of how my mouth, tongue, throat and nose all worked together. With this increased awareness I was able to experiment a lot more than I had and work out the problems I had with other accents in the past. All this lead to me acknowledging a couple of key principles in doing accents. While there is no doubt a lot that separate one accent from another, and there are subtle variations even within one type of accent, most accents can be quickly reached by the manipulation of two aspects of your voice. When I say the Point of Resonance (PoR), I am referring to the position in your head that vibrates most when you speak. Most people I talk with are initially unaware of their own PoR, so I get them to put on a nasally voice, which we all can do. Regardless of what your voice is naturally, except maybe naturally nasally voiced people, once you do this, you should be able to feel the difference. In some people, this will tickle their sinuses, and maybe even make them sneeze. The blue circle represents the American’s point of resonance and the red is the Britain’s point of resonance. In order to achieve a nasally voice, you are changing the part of you that the sound of your voice resonates, or your Point of Resonance. This helps even with the general accents such as Received Pronunciation (standard English), General American, and General Australian. These three accents actually make for an interesting progression with American often being higher and slightly more nasally than English, which in turn is higher than Australian which is moving to the back of the throat. The broader the Australian accent, the further back and down the PoR goes. American has a lot in common (regards PoR) with Irish and Indian, which are both similarly edging towards nasally, whereas Australian, Scottish and Russian are lower and back in the mouth. Of course, just a shift in the PoR does not make a complete accent. The way in which the mouth moves becomes the second key element in a basic accent. It’s a blend of the Lips and Jaw (LaJ). You can either move these features a lot when sounding your words, or you can move them very little. The direction you move will also have an impact on the sound of your words. This was a discovery for me which explained why Aussies often thought I was English rather than Australian, and yet when in England, they all knew I was Australian. While I had the shallow PoR similar to most Aussies, when speaking, I didn’t use my lips as much as others. A side effect of this was that my enunciation sounded more exact, yet the throatiness was enough for natural English speakers to pick me out as Australian. Using again the three core accents, American accents typically use more vertical movements, larger jaw movements for the vowels with narrow lips. Australians will use less jaw and wider lip movements. Then English uses minimal lip or jaw movements, which echo’s the “stiff-upper-lip” image. So when we look at American vs Irish, we see that Irish typically is somewhere between minimal movement to wide movements, which contrasts with the American vertical movement. This is similar when comparing Australian with Scottish, or Russian. Scottish is closer to the English minimal movements, and Russian may use even less movement than English. 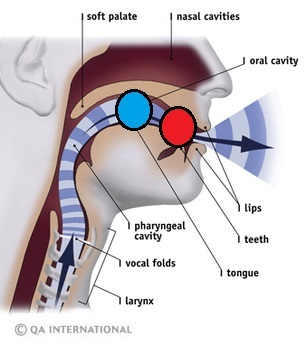 Once I had worked through these two basic principles, I was able to work with all the other aspects of accents, such as emphasis, use of tongue for rolling sounds, soft and strong consonants. It was much easier to address the finer of details of accents with a solid base, and it is much easier to pick-up some of the more interesting accents. More important, by subtly playing with the two key aspects of PoR and LaJ, I have been able to play with accents to create the shades of grey you find everyday. Such as an Irish accent with a subtle Australian influence, an English Scotsman, American Indian, and more. I have tried applying these simple basic principles on others, seeing how they take it. So far, it has been a successful solution. Accents are not simple, but with a strong base, they can be easier.